Facebook COO Sheryl Sandberg recently made a commencement address at Barnard College. (For context and your own edification please go to Sheryl Sandberg Commencement Address) I have no clue when it comes to CEOs CFOs UFOs or any other company big wigs, but even I know who Sandberg is… admittedly it’s from a Vogue article I stumbled upon, (May 2010) but what I read revealed her to be a strong, savvy, and remarkably human woman who happens to be the brains and driving force behind some of the largest companies in the United States. 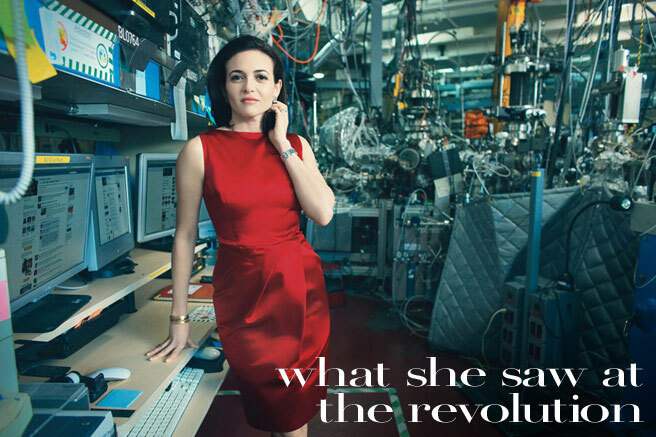 Sandberg is the kind of driven genius level person that makes even the hardest working woman feel like a slacker. But she doesn’t seem to lord it over others. In fact, in her speech she reaches out to young woman of the next generation and passes them a torch she fears is in danger of going out. “We’ve failed” she tells them, and commends the future to these brave young women. And like a wise older sister, she offers some advice. I’m going to go right ahead and poach from that brilliant speech circulating the web when it demands that women don’t lean back, but lean in… lean in to their lives, their careers, their ambitions. Lean in to making a difference, big or small, in this world. Lean in to leaving a mark. It doesn’t matter what you do, as long as you love it and you give your all. I’m not calling for women to be perfect or do it all. Just don’t give up on your dreams… don’t sublimate your career because you think it’s not worth pushing for. Have children, have a family, have a career… and fight for corporate day care and institutionalized live work balance… equal paternity and maternity leaves. It’s all possible. Some of the biggest companies (we’re looking at you google and facebook) have made their workplaces compatible to people with families. And just as an aside to Ms Sandberg… not only do I not think the generation of women who saw the largest jump in female heads of major corporations have “failed”, I accept the challenge that it is never to late to take up the reigns of your life, your career, and your future… Yes Sheryl I will “Lean in”. Just watch me. A film designer and one of the founding Empresses, Niffer is currently retired from the collaboration. She used to write from TORONTO, Canada.